In 2000, Elowitz and Leibler introduced the repressilator—a synthetic gene circuit with three genes that cyclically repress transcription of the next gene—as well as a corresponding mathematical model. Experimental data and model simulations exhibited oscillations in the protein concentrations across generations. Müller et al. 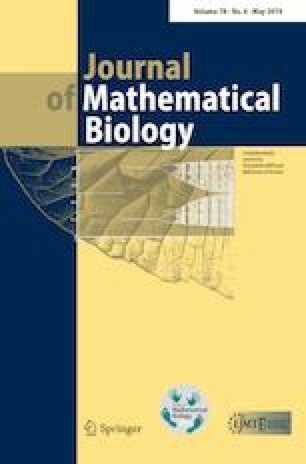 (J Math Biol 53(6):905–937, 2006) generalized the model to an arbitrary number of genes and analyzed the resulting dynamics. Their new model arose from five key assumptions, two of which are restrictive given current biological knowledge. Accordingly, we propose a new repressilator system that allows for general functions to model transcription, degradation, and translation. We prove that, with an odd number of genes, the new model has a unique steady state and the system converges to this steady state or to a periodic orbit. We also give a necessary and sufficient condition for stability of steady states when the number of genes is even and conjecture a condition for stability for an odd number. Finally, we derive a new rate function describing transcription that arises under more reasonable biological assumptions than the widely used single-step binding assumption. With this new transcription-rate function, we compare the model’s amplitude and period with that of a model with the conventional transcription-rate function. Taken together, our results enhance our understanding of genetic regulation by repression. Anne Shiu was partially supported by the NSF (DMS-1312473/1513364 and DMS-1752672) and the Simons Foundation (#521874). AS thanks Mariano Beguerisse Díaz and Heather A. Harrington for helpful discussions. The authors thank Jake A. Pitt, Ruben Perez-Carrasco, and 2 conscientious referees for their helpful comments and suggestions that helped us improve the work.